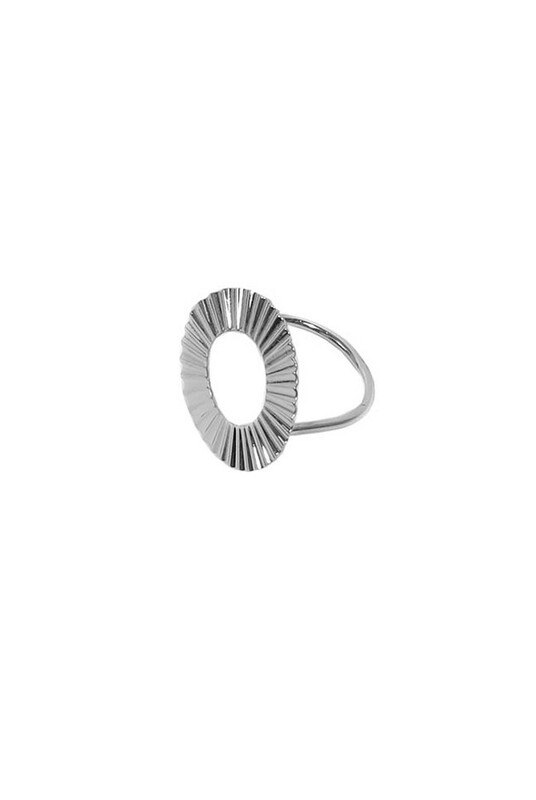 Add a slice of sass to your vintage inspired jewellery collection with this super sweet Silver Sunburst Ring. Bursting this Gatsby shine, this art deco ring is a wonderful nod to all things twenties whilst retaining some modern minimalist cool too. Team this sun ring with our deco sunburst necklaces and bracelets to complete the set! This is a silver ring with sunburst shaped central charm including cut out centre. One size.